A wedding journal ready to take you and your fiancee along the journey and a place to keep your notes on vendors, colors, plans and more! This wedding planner book can be personalized with the couples' names on the front, in your choice of custom cover color (see chart). This elegant and simple design works well for any type of bride, and makes a great engagement gift for new couples! 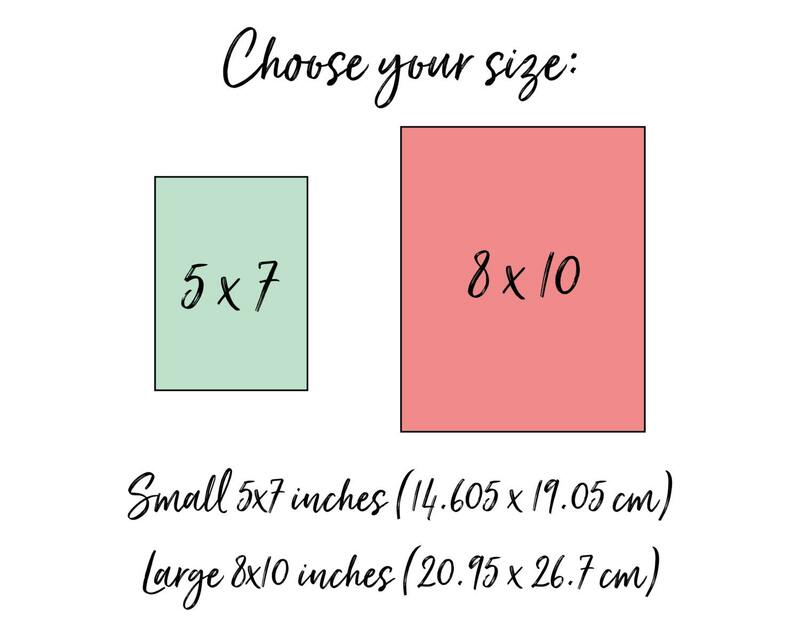 This wedding planner comes in two sizes for your convenience - 5x7 or 8x10 inches. 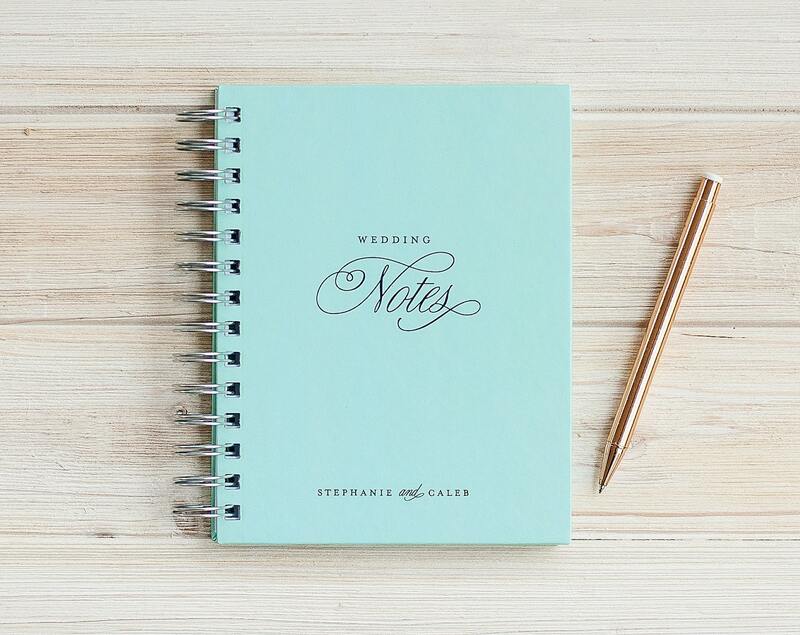 Personalize this hardcover wire-bound journal to take notes for big day and save mementos, photo snaps and important receipts, brochures and information about your venues and vendors. The 1" wide Wire-O binding will expand with added items on the interior pages. Our 5x7 journal is shown here with a pen for scale. The silver Wire-O coil is sturdy for longevity, and binds the book with your choice of interior pages. 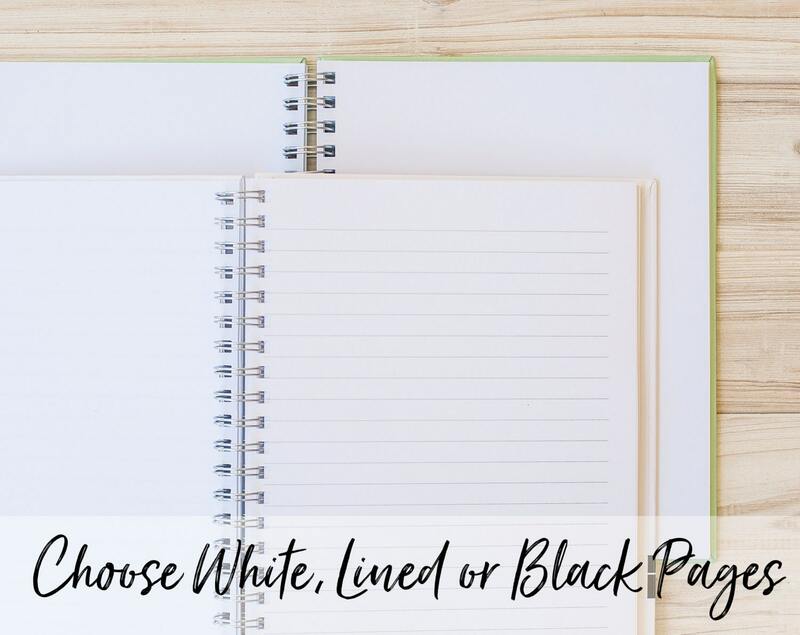 Blank white, lined, or blank black pages are available in quantity 50 or 100 sheets. All combinations are listed in our drop-down menu. These journals can also be used as photo guest books, however this paper is thinner than that of our traditional casebound books, so keep that in mind when deciding works best for you. Covers are matte laminated for longevity. Wire-O journals will open and lay flat on a table. There are no unsightly barcodes or logos on our back covers. 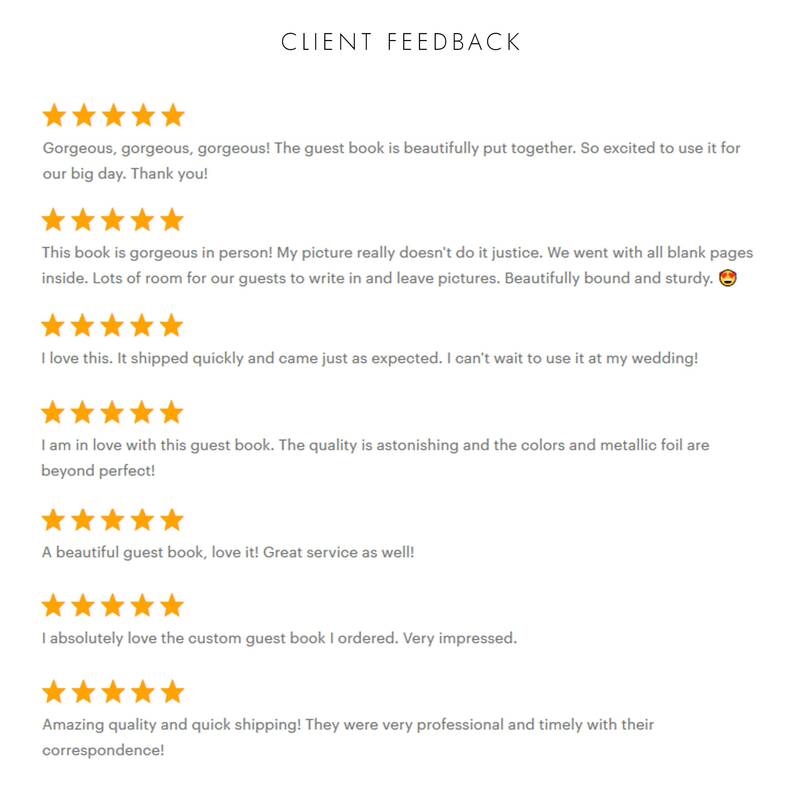 Once your proof is approved, your order begins its production process which individually prints and binds your guest book to order, one at a time. So that your order can be printed and finished professionally, please allow 8-9 business days after your proof is approved for completion by our talented production team. Thereafter, your order will ship and transit time is determined by the shipping carrier and speed you select at checkout. Please note that business days do not include weekends, so keep these timelines in mind when ordering for your wedding day. Total time from approval to the book in your hands may extend to about two weeks. Expedited shipping is available at checkout with 2-Day and overnight options, but this does not affect the 8-9 business day production time and only affects the speed your order travels AFTER it is made to order. Please let us know your absolute need-by date in the "notes to seller" along with your customization so that we can best serve you. We can help with recommendations for shipping speed.